Download game Rise of Balloons right now! 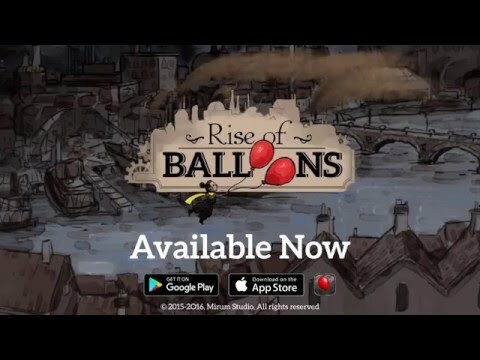 Rise of Balloons is a puzzle and adventure game set in a steampunk town, telling the story of a hopeful young girl and her red balloon. Being the only joyful soul in a city full of depressed people, this little girl wishes to spread happiness by giving balloons to everyone she meets! Rise of Balloons tries to remind its players that small gestures such as giving a balloon or smiling are all it takes to change someone else's day. Paying it forward is important, as you cannot possibly finish the game without giving balloons to many kids.